Despite the strict orders from the Srinagar High Court for not allowing any construction on the bank of river Jhelum, a huge five level mega-mall is under-construction. Situated near Abdullah bridge, Srinagar, the construction is going on uninterrupted. In 2014, when the deadly flood hit the Kashmir and the valley got submerged into the water, the then government and concerned departments pitched high tone and held such illegal encroachments on the bank of Jhelum responsible. Owned by Mr. Gulzar Ahmad Sheikh, a resident of south Kashmir’s Shopian district, the construction of the building started under the regime of People’s Democratic Party (PDP) and Bharatiya Janta Party (BJP) post-2014. Prominent socio-political activist, Inam Un Nabi has filed a petition against the alleged illegal mega-mall. According to Mr. Nabi, the land was proposed in 2006 by the then chief minister of the state, Ghulam Nabi Azad, and was supposed to be used for a public park. Then after the National Conference (NC) came in power in 2008, they disallowed the construction at the site. But, when PDP-BJP coalition government formed in 2014, the construction finally started for this mall. 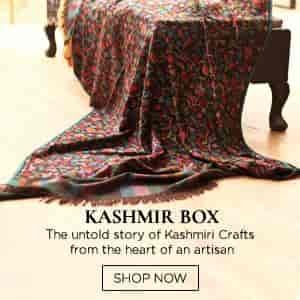 “It is illegal in nature,” Mr. Nabi told The Kashmir Walla. According to the guidelines from the Lakes and Water Development Authority of Kashmir (LAWDA), “No construction is allowed near any lake or river up to 1 kilometer, then how is this being going on near the flood channel of Jhelum,” questioned Mr. Nabi to the authorities. He further added that they even possess the No Objection Certificate (NOC), provided by the flood and irrigation department. “How have they issued the NOC for this construction, when it is illegal?” said Mr. Nabi. He also raised points against the concerned departments including, Srinagar Municipal Corporation (SMC), Rural and Buildings (R&B), Flood and Irrigation Department, regarding how they allowed the construction of this infrastructure on the bank of the river? “Also, this building comes right at the place, where the extended road was expected to be constructed, but it couldn’t happen, as this huge under construction five storey mall is stood there,” said Mr. Nabi. Notably, this is the same spot where the embankment was breached during the floods in 2014 and the water spread throughout the Rajbagh area of Srinagar city. However, the owner of the mall, Mr. Sheikh said to The Kashmir walla, “I have purchased this land in the year 2000, and before purchasing it, I confirmed from all the concerned authorities about its usage, and they confirmed me that this is a commercial land.” As per him, all the legal formalities and procedures which were required have been followed. Countering the claims, Mr. Nabi pointed out that if the construction was legally perfect, “then why did the accused person moved to court and grant stay order for it?”. On 14 July 2018, Mr. Nabi took the issue to governor’s grievance cell at Raj Bhawan, Srinagar and the then governor of the state, N. N. Vohra asked the SMC Srinagar to respond within fifteen days. But, even now, the department didn’t receive a reply. “The irony is that the SMC department did not even react over the matter despite being asked by the governor. This shows where our system has reached,” said Mr. Nabi. He, along with another social activist Umar Wani, has also produced the matter at the National Green Tribunal (NGT), and the principal bench has accepted the matter and is ready to hear the issue. As Mr. Nabi claims, he is ready to go to any extent to highlight the case in the apex court and get ‘this heinous construction stopped’. Social and civil circles have urged the present Governor, Satya Pal Malik led administration to take notice of the matter and get the illegal building down.